A squirmy baby + changing table = a Cirque du Soleil audition ( — the gracefulness). Change the equation by upping the ante on safety, comfort, and cleanliness with the No-Compromise Organic Cotton Changing Pad and Organic Cotton Changing Pad Cover from Naturepedic. Made with ultra luxurious organic cotton fabric and a clear polyethylene food-grade waterproof coating, the pad is non-allergenic and a breeze to clean. Parents appreciate the contoured 4-sided design, built-in safety buckle (especially when tots try to test out new moves during diaper changes), and snap screws for securing it to the dresser. There’s even more peace of mind knowing it’s made with non-toxic materials (no vinyl, PVC, phthalates, polyurethane foam, latex, soy, flame retardant chemicals or barriers). 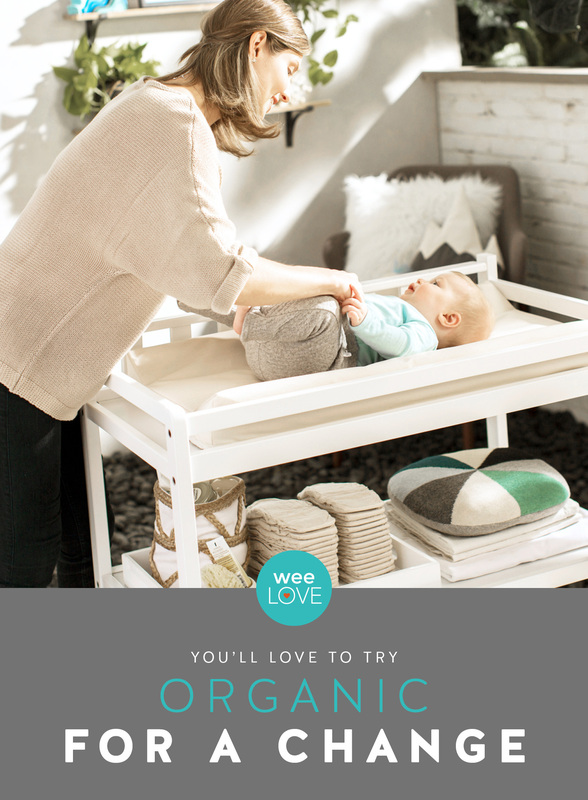 Top your changing pad with the perfectly fitted Organic Cotton Changing Pad Cover. 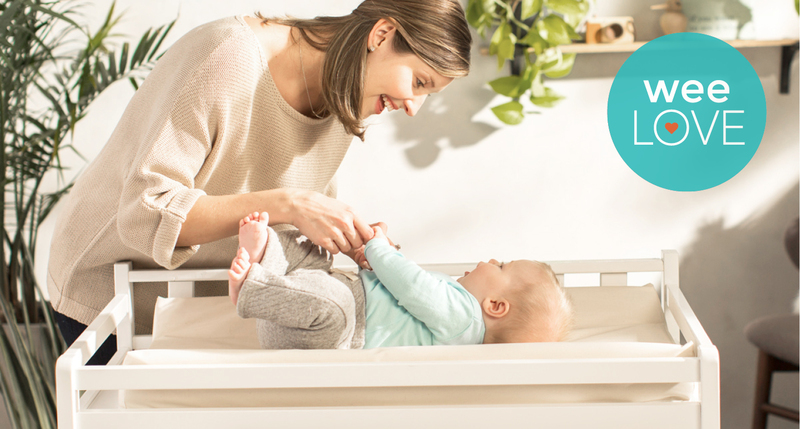 Your baby will love the soft, absorptive cotton and you’ll love how easy it is to toss in the wash when inevitable messes occur. Diaper changing setup aside, things still may resemble a Vegas nightclub if your baby is dressed in that new outfit from grandma.